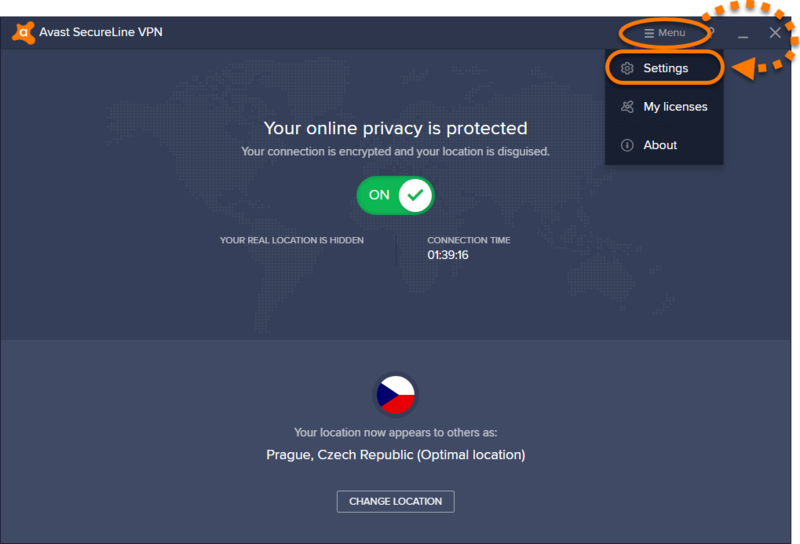 SecureLine VPN can be used any time you want to connect to the internet with extra security and privacy, and is especially recommended when you are connected to a public or unsecured wireless network. 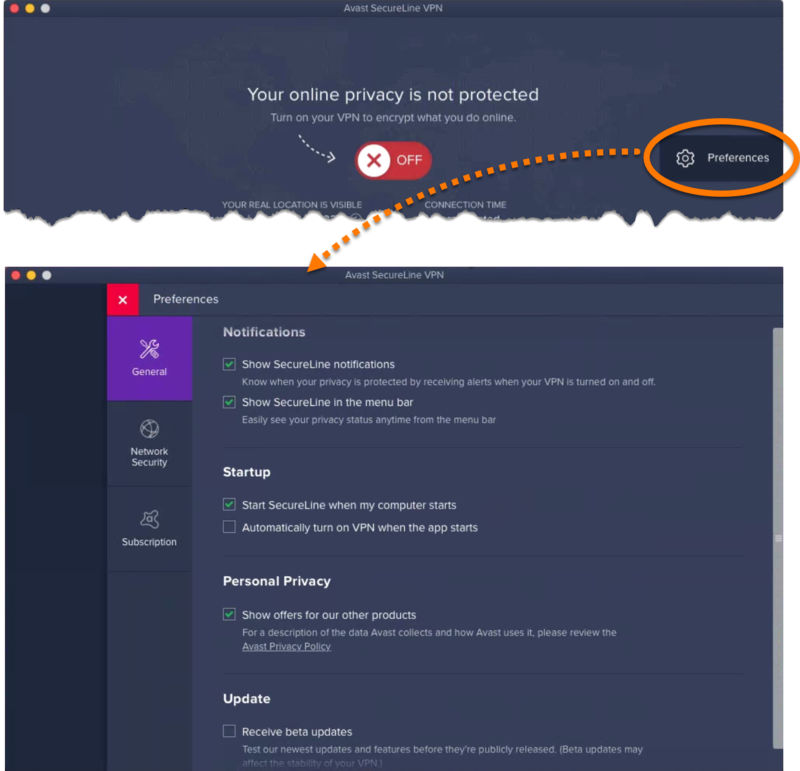 Double-click the Avast SecureLine VPN icon on your desktop to open the user interface. 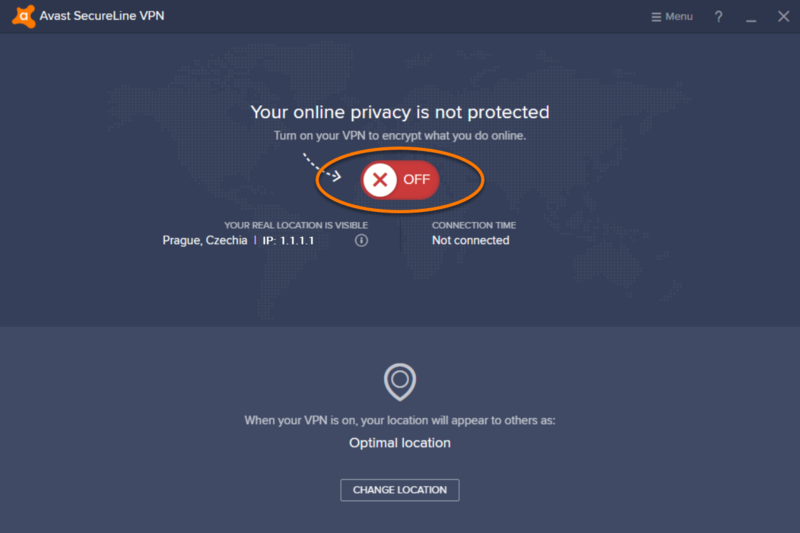 Click the Avast SecureLine VPN icon on the right side of the desktop menu bar and select Open Avast SecureLine VPN. 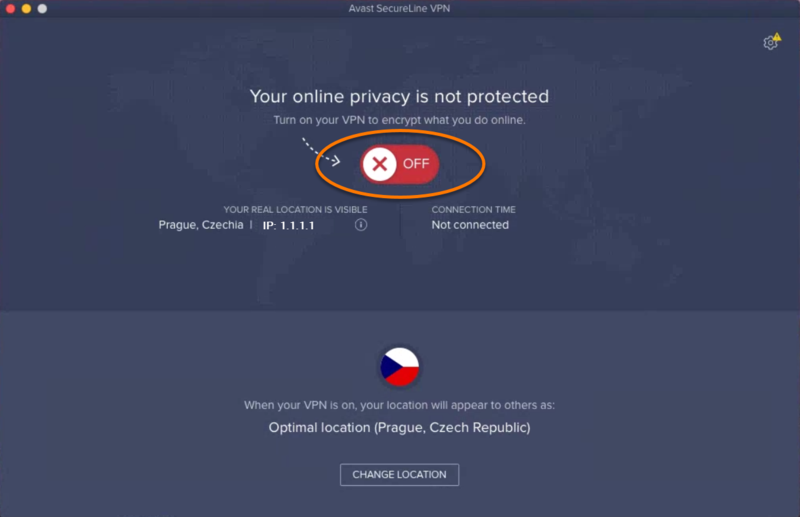 You are now connected to the SecureLine VPN server. 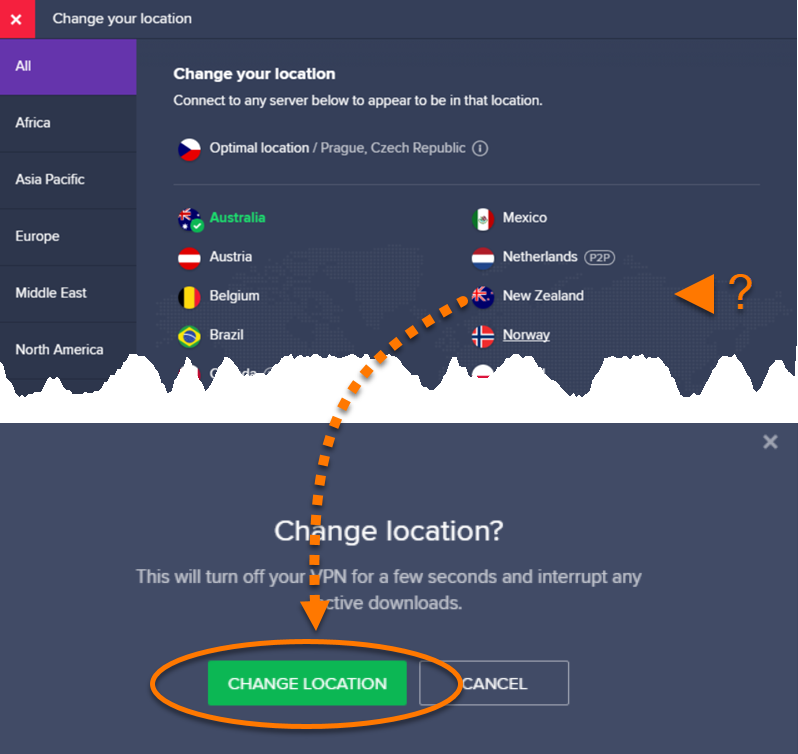 You can also change the default VPN server location if needed. 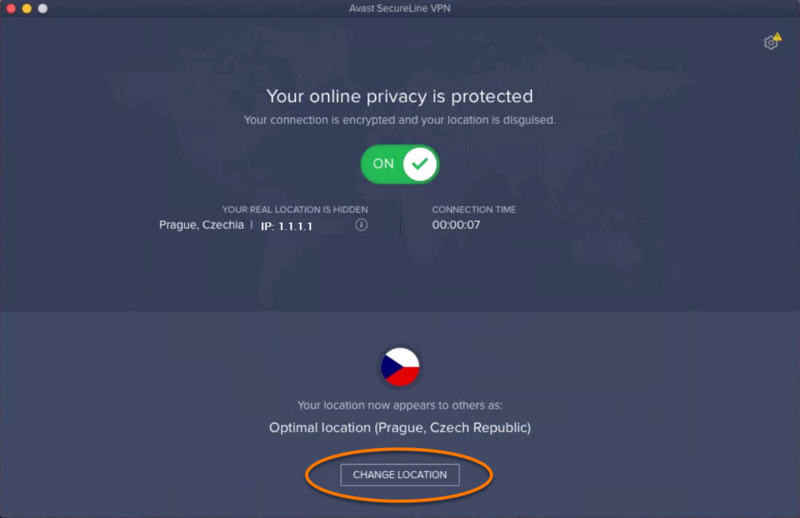 Click the Change Location button on the main screen of the Avast SecureLine VPN interface. 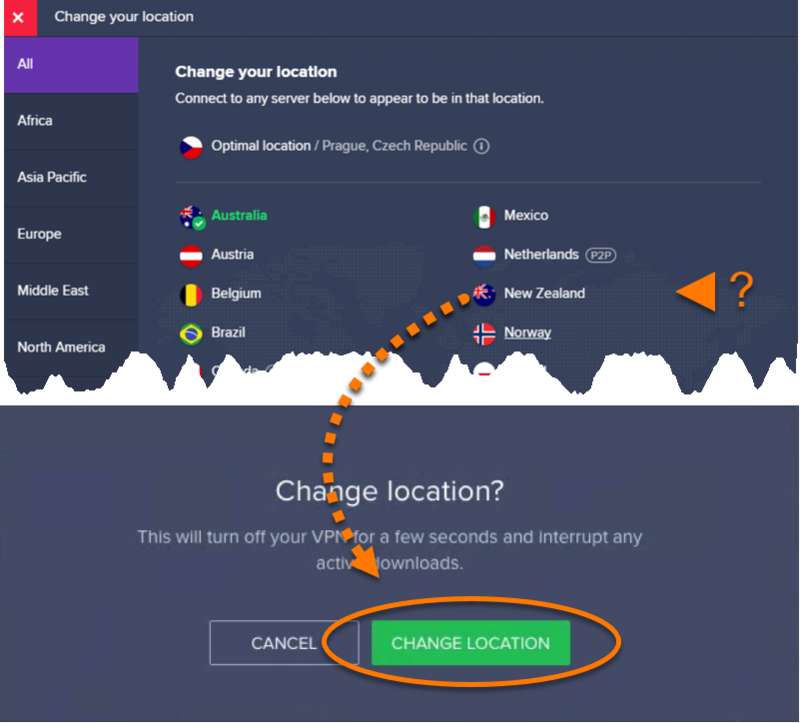 Select your preferred country or city, then click Change Location to save the change. 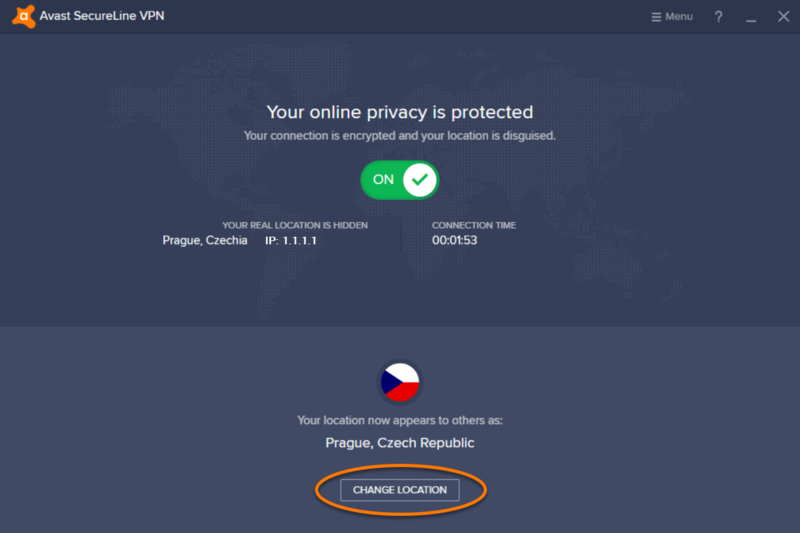 Select ☰Menu ▸ Settings within the Avast SecureLine VPN interface. General: manage notifications, startup preferences, and content language within the SecureLine VPN interface. 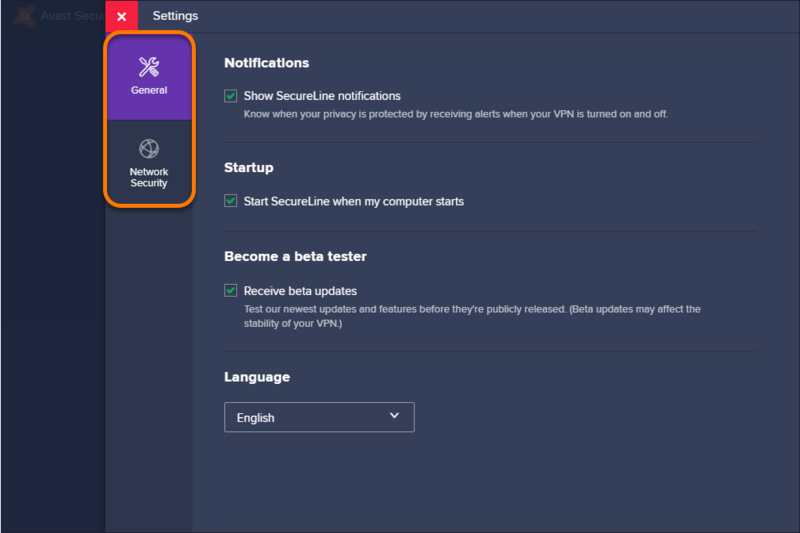 You can also opt in to become a beta tester for new versions of Avast SecureLine VPN. Click the Preferences icon in the top right corner (gear icon), and adjust your preferred settings. General: manage notifications, startup preferences, and content language within the SecureLine VPN interface.